The researchers of Kazymyr Malevych’s work has found the exact place of the artist’s birth. 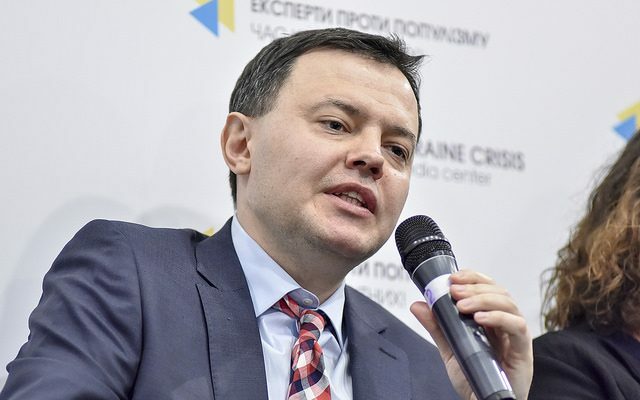 It will be the “highlight” of the first documentary film about Malevych, which will be released in Ukraine this autumn, reported the film producer Oleg Shcherbyna at a press briefing at Ukraine Crisis Media Center. Archive documents were found by the researcher of Kazymyr Malevych’s work, a creative producer and script author of the film “Malevych” Tetyana Filevska. As Malevych’s sister said, he was born in the house of his aunt Maria Ozhekhovska on the Bulonska street, 15. Tetyana Fillevska came to Kyiv archive in order to find a documentary confirmation. It turned out that there is no mention of the fact that this house belongs to Maria Ozhekhovska. “The address Bolonska street, 15 was not related to Ozhekhovska or Malevych family in the nineteenth and early twentieth centuries. Instead, we found that Maria Ozhekhovska, an aunt and godmother of Malevych, in whose house he was born, at the end of the nineteenth century had an estate on Zhylianska street”, noted Tetyana Filevska. The film tells story not only about the Malevych’s birthplace, but also about his creative development in Ukrainian territory. “Every time, talking to interesting people, I discover something about Malevych. Sometimes I’m really shocked. It turns out that I also do not know much about him, – shared his impressions film director Volodymyr Lutskyi. – Documentary is always good, because it returns us to our memory. The purpose of the film is to let people know the truth, who is Malevych, where he was born, and which roots he has”. The film received financial support from the Ukraine State Film Agency. Filming took place in Ukraine, Poland and the USA. The working title of the film is “Black Square”. The film is the Ukrainian-Italian product: 80% of the funding is covered by the Ukrainian side, 20% – by the Italian. Ministry of Culture of the Italian Republic is a sponsor from the Italian side. “We plan to finish this film by the end of February and start to work on the strategy of its promotion. In foreign markets, we see the promotion through European and world festivals, and in Ukraine we plan to release film in the autumn”, – said Oleg Shcherbyna. Nowadays there is a problem of Kazymyr Malevych’s belonging to the cultural heritage of Ukraine, not Russia, said Gennadiy Kurochka, co-founder of the UCMC. “It is very important that this struggle is going on now, not only from the outside, but also within our country. Such documentary film as “Black Square” that is the answer, our resistance, our restraining of the promotion of the “Russian world”, – summed up Gennadiy Kurochka.